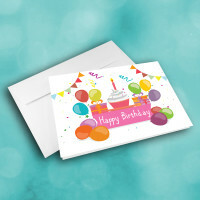 A bright and joyful birthday card to spread some birthday cheer. 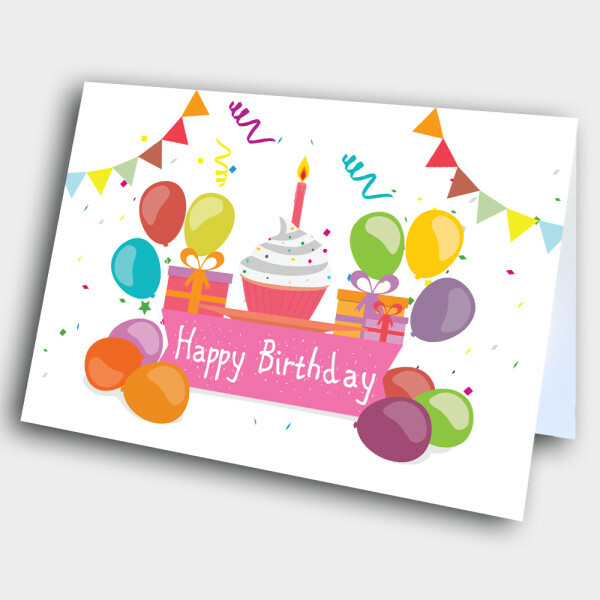 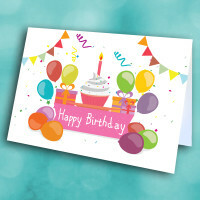 This fun and cheery card is bursting with birthday joy. 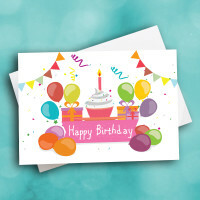 The front is adorned like a festive birthday party, complete with colorful balloons, streamers, gifts, and confetti. 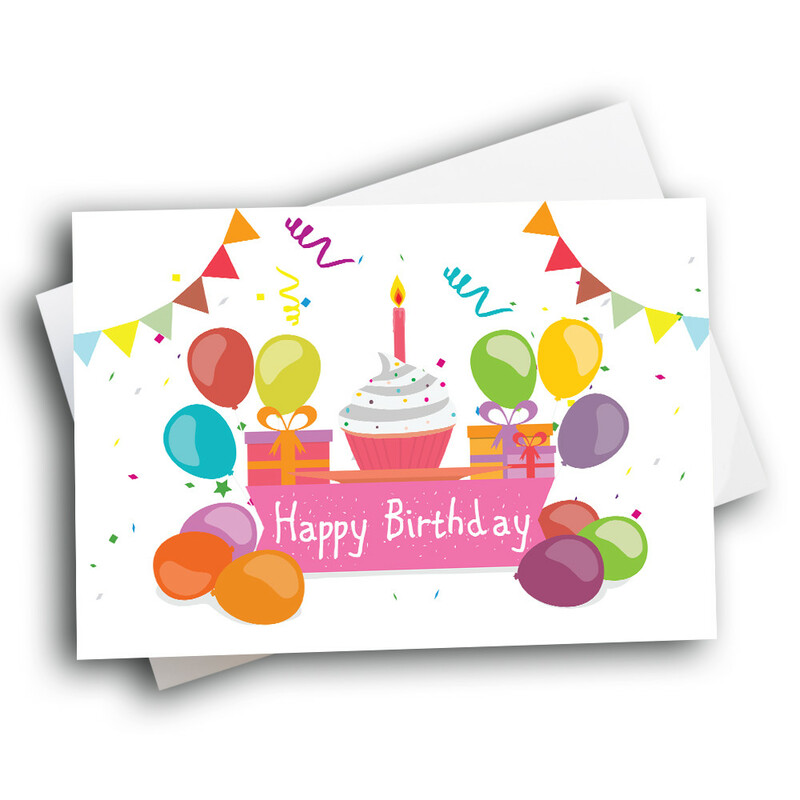 A giant, pretty pink cupcake sits on the birthday banner in the center. 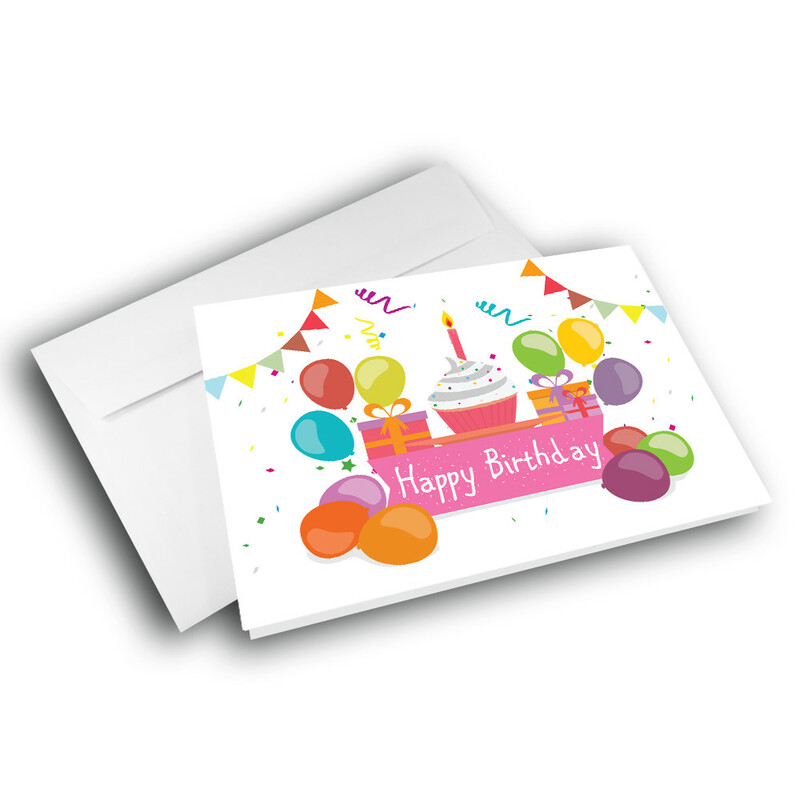 The message inside can be personalized to make this a custom birthday card.